Wonder Forge sent us a copy of this game to review. No other compensation was received. 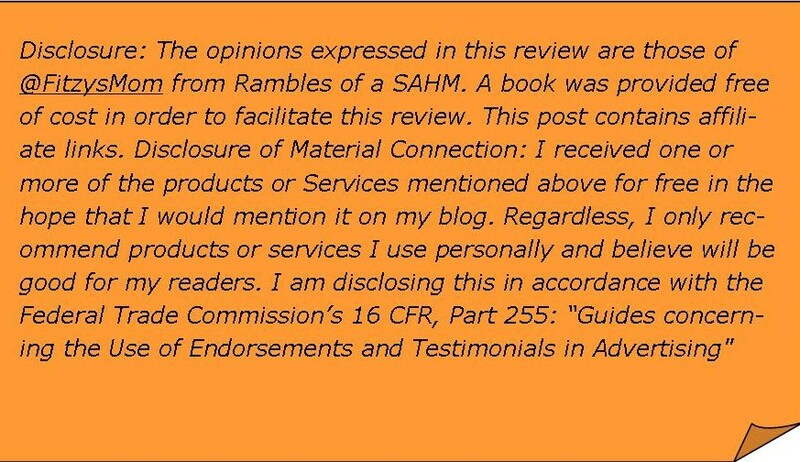 All opinions expressed are our own. 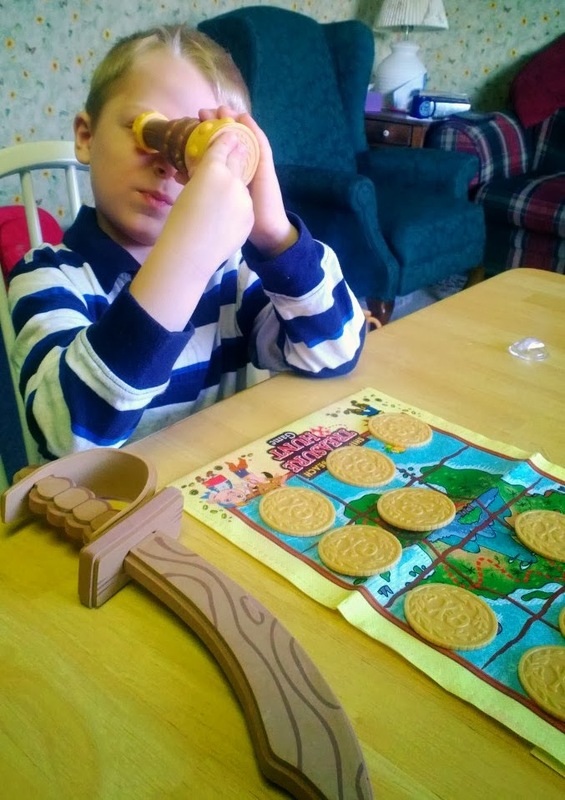 My grandson and I recently spent the afternoon trying out Wonder Forge's new game Jake and the Neverland Pirates Shipwreck Beach Treasure Hunt Game. It is designed for the preschool set so we thought it would be worth a try. 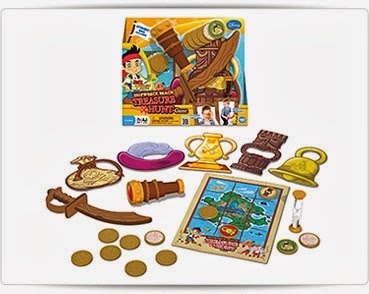 The pieces that come with the game are pictured above. They are just the right size for those little preschool hands. The concept of the game isn't complicated at all. 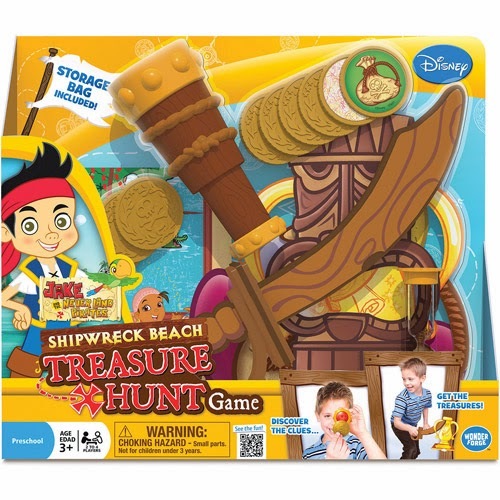 Match two doubloons on the treasure map and then go and retrieve the treasure (located somewhere in the house) before the time is up. The wonderful reviewers over at TimeToPlayMag.com have put together a great video that describes exactly how the game is played. I have to tell you that playing the game as directed was fun, but the real magic began when my grandson started playing the game by himself. It was such a treat to watch him turn into Jake the Pirate and begin to hunt for hidden treasure. The pieces are very sturdy and I'm sure they will stand up to hours and hours of imaginative play. I highly recommend this very affordable game for your little ones. It is durable and portable and easily stored. But again the best part is the way it encourages your little one to use their imagination!